After taking up cycling on a whim and becoming an avid cyclist, JaBig decided to explore the different landscapes across Canada, coast to coast to coast, on two wheels. 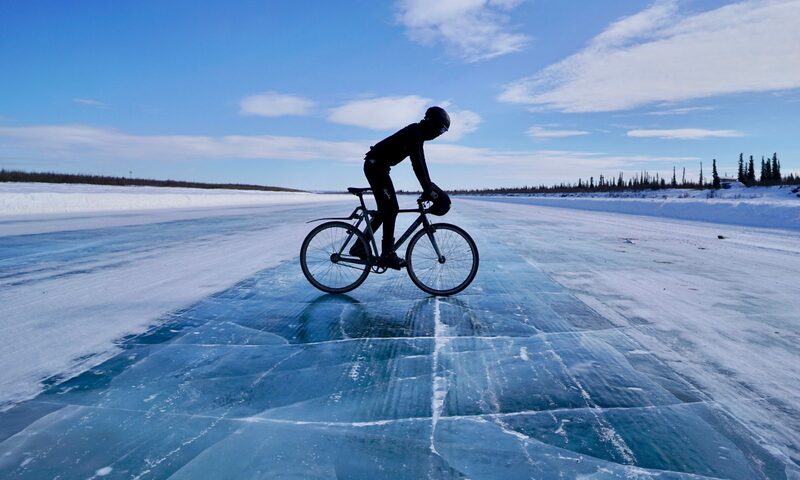 In 2016, he set out to ride across Canada to its frozen Arctic Ocean coast and to add an extra challenge to his already never-before-done adventure, the inexperienced Montréal DJ set to break the Guinness World Record for “The Longest journey by bicycle in a single country” on a fixed gear bicycle (fixie). His epic 15-month, 17 000 km journey is chronicled in the short film Escape directed by Anjali Nayar (Silas, Gun Runners) and presented by MEC, Canada’s largest outdoor gear retailer. Released in early 2018, Escape went on to become a festival favourite becoming a hit in over 40 festivals around the world such as Trento Film Festival in Trento, Italy – the oldest international film festival dedicated to the mountains, adventure and exploration, Mountainfilm – one of America’s longest-running film festivals or Banff, Canada’s leading outdoor film festival. “An adventure to escape expectations and in the process exceeding them.” –Claire Carter Writer, Film Officer for Kendal Mountain Festival, ‘Creative Consultant’. After its festival success that won it multiple awards mainly as audiences favourite, the 8-minute short film documentary is currently on tour worldwide and to date has been screened in all over Canada, USA, UK, Australia, New Zealand, Slovakia, Macedonia, Spain, South Korea, Brazil (where it won the Audience Choice Award for Best International Short Film) and more. A select list of awards won by Escape, a film by Anjali Nayar. Thanks to Escape, JaBig has been in demand around the world lately to appear at screenings to present and discuss the film but also to share stories of resilience, goal-setting & project management, diversity & representation in the outdoor and adventure industries .